I have merged all the single Leagues facepacks into ONE SINGLE cpk file. Together with an update of 330 new real faces 950 real faces are added to Your PC game. All Facemakers, DaGuelz,xTheChosen0ne, BMPES, pesMARFUT. 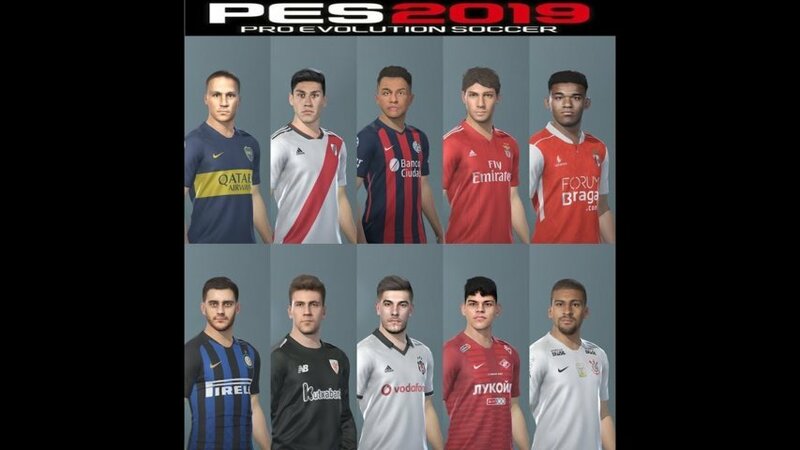 PTE patch makers, Smoke patch makers, evoweb, pesgalaxy forum community, prince Hamiz, TiToo, Volun, Octavio Facemaker, Halil Furkan, The White Demon, Sofyan Andri, Hugimen, Robert PES Facemaker, Prince 7amiz, Francisco1507, Shaft, Bmpes, Lucas Facemaker, VN Hui Bui, Bebofacemaker, Shenawy, kibi011, Zenin Rohman, Kleyton, Eric facemaker, Drachen, SeanFede. messipradip, Dustmcpw, Mucee.